The look of the new, sportier Harley-Davidson was immediately reminiscent of the popular British bikes that were dominating the sports-oriented motorcycle scene in the late 1950s, it had a very similar profile to the Triumph Thunderbird and proved to be very popular in the same demographics in the US motorcycle market. 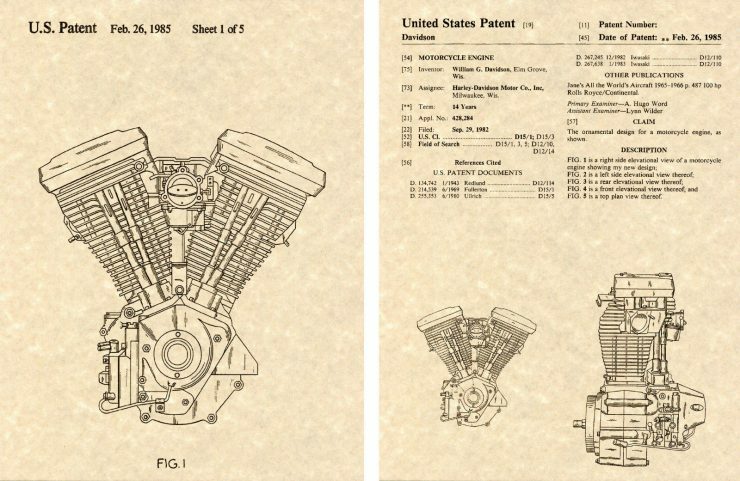 The Ironhead 900cc V-twin engine had a 45 degree offset and could produce 40hp at 5,500rpm, it had a top speed of somewhere in the 100mph range and a total weight of 495lbs. Somewhat amazingly, that Ironhead engine would stay in production for 28 years until it was replaced with the Evolution engine in 1986. This long production run is excellent news for prospective Harley-Davidson Sportster owners as it means there’s a vast market for spare parts, an immense amount of mechanical know-how and a brilliant community of people around the country who love to meet other Sportster owners, talk shop and offer some hard-learnt advice. Some in the Harley-Davidson community will try to tell you that the Sportster is a “beginners” bike but I disagree with that sentiment pretty strongly – The very first Harleys were essentially motorised bicycles, they were designed to be light, manoeuvrable and capable of racing against Indians, Cyclones, Hendersons, Excelsiors and Popes with relatively few modifications. The large, highway cruising, chrome plated motorcycles we all associate with the Harley-Davidson brand nowadays name didn’t come about until many decades later, meaning the Sportster is actually the truest representation of the original DNA of the company. 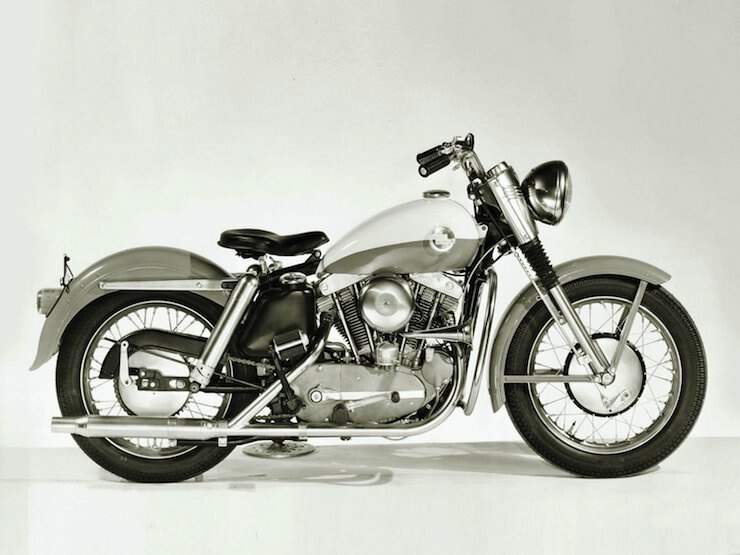 1957 – This was the first year of the Harley-Davidson Sportster, it used the Ironhead overhead-valve engine, it had twin-spring rear suspension and was aimed squarely at younger people who valued speed and performance over everything else. 1972 – The Ironhead engine was updated, most notably with a new 1000cc capacity in place of its original 900cc volume. 1975 – This was the year that the DOT specified that all motorcycles sold in the USA had to have a standardised, left-side gear shift. The Sportster was switched from right to left and many other bikes did the same, including the Norton Commando. 1986 – The all new, Evolution engine was introduced with either an 883cc or 1100cc swept volume. This marked the end of the road for the now legendary Ironhead power-plant, after a remarkable 28 year production run. 1988 – Due to popular demand, the 1100cc engine option was increased in size to 1200cc, this engine size has been kept through to the modern day, as has the original 883cc engine. 1988 – The classic butterfly carburettor was switched out for a more modern constant velocity unit. 1991 – The now antiquated 4-speed transmission is replaced with an all-new 5-speed unit. 1991 – A belt drive replaced the chain drive on the 883 Deluxe and all of the 1200 models, the belt drive is now synonymous with the Harley-Davidson name and does away with the tedious task of maintaining the chain. 1993 – Belt drive was now standardised on all Sportster 883 models, meaning the entire line is now running belts. 1994 – HD made the improved oil tank and clutch standard on all bikes in the Sportster range, this would be a continuation of the slew of improvements made to the model line throughout the 1990s. 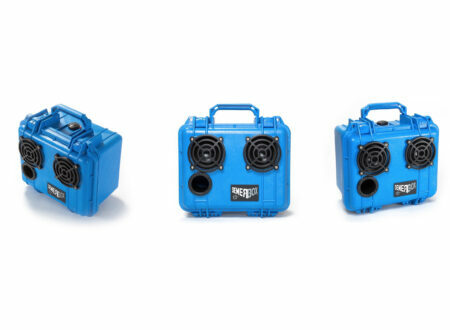 A new, weather-proof electrical system with fully-sealed connectors was also introduced, further improving reliability. 1995 – The long run of the mechanical speedometer comes to an end with the introduction of an electric speedo on all models. 1996 – XL1200C The Sportster Custom is introduced for the first time. This bike is a Sportster with some of the chrome, style and refinements usually only seen on larger Harleys. 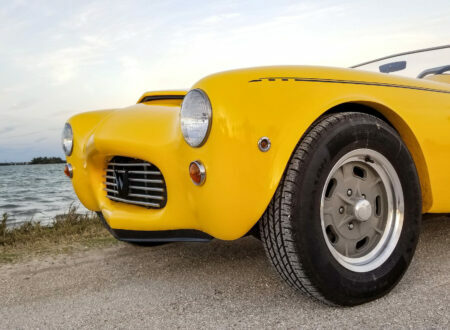 It’s commonly known as a “starter cruiser” and has been a popular member of the Sportster family for over 17 years now. 1998 – XL1200S This higher performance Sportster was fitted with dual spark plugs and performance cams, it became popular with those who wanted a solid foundation for building a faster, higher performance Sportster. 2000 – Sealed wheel bearings and better performing 4-piston brake callipers were added across the range, continuing Harley’s slow but steady improvement cycle for the model. 2004 – This was a big year for the Sportster, the frame had been 100% redesigned and now used a rubber mounting system for the engine to reduce vibration. The battery was now enclosed, the bike also had a redesigned hamcan, transmission door and a new oil tank. There were some other modest changes, making this the biggest update the Sportster range since the introduction of the Evolution engine in 1986. 2005 – Only one minor change this year, the rear axle was expanded to 1″ for increased stability. 2006 – The new and hotly anticipated XR1200 is announced in Europe. The bike is a modern interpretation of the now legendary XR750 race bike, it uses the same Evolution V-Twin as the stock Sportster with a new Down Draft DDFI II fuel injection system. 2007 – Fuel injection is now installed as standard on all Sportsters. 2008 – The front axle is slightly enlarged and the rear axle is decreased in size a little, both are now metric and have the same size – 25mm. 2010 – The engine control unit is moved to allow more room for aftermarket seat selection, one of the most popular aftermarket purchases for Sportsters. 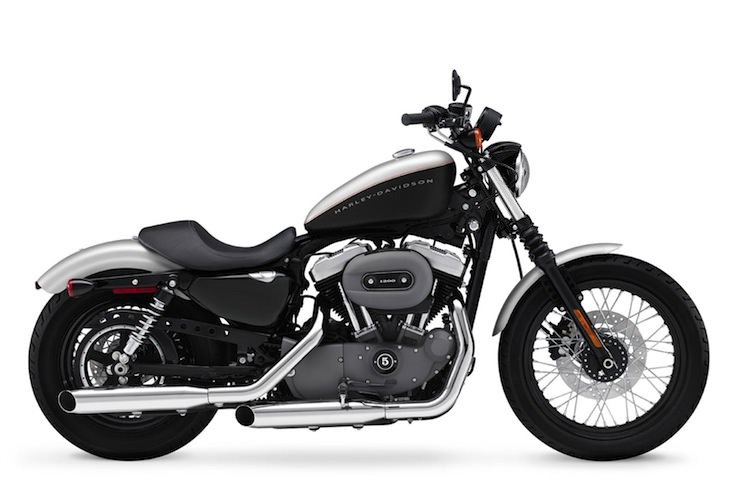 2014 – This is another big year for the Sportster, similar to 2004 and 1986. An all new electric system is installed on all Sportsters, larger brakes are now standard, keyless entry is offered, the Evolution engine has an increased compression ratio and ABS is offered as an option. 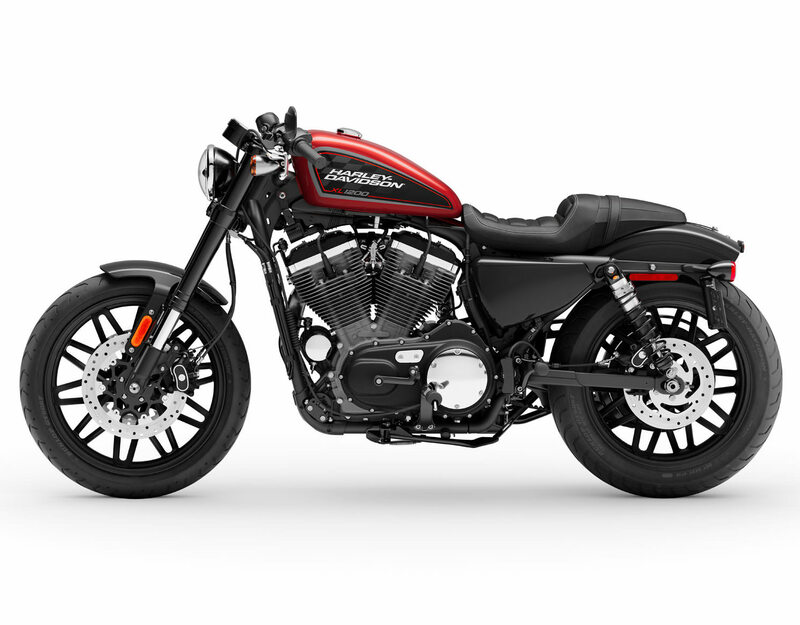 2015 – This was a relatively quiet year for the Sportster model line with minor incremental updates but nothing genuinely significant. 2016 – The Harley-Davidson XL1200CX Roadster made its first appearance in this year, this new model was designed very specifically to target those wanting a more sporty Sportster. 2017 – This was a quiet year for model updates but behind the scenes Harley was hard at work on new engines and models to revolutionize their model line – we would see the first hint of this in 2018. 2018 – This year saw the introduction of the Forty-Eight Special and the 115th Anniversary Forty-Eight. We would also see four new future models (including a new Sportster) and a new DOHC V-twin engine. 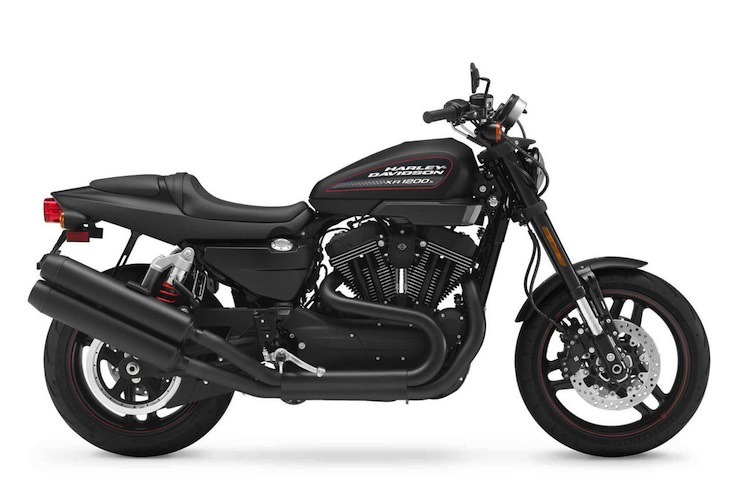 2019 – The new Iron 1200 Sportster appeared for the 2019 model year, otherwise it’s been a relatively quiet time for updates as many suspect Harley is focussing on their upcoming model range. The Nightster was introduced in 2007 and became quite popular. It has a retro feel, the 1200cc engine and is one of the better looking modern Sportsters (in my opinion). It went on to spawn the “Iron” and “Forty-Eight” which are both specified below. This is an 883cc parallel to the 1200cc Nightster, it’s now one of the cheapest of the Harleys you can buy new and offers great value for those looking for a fun, simple V-twin that’ll still be running come the start of the next century. 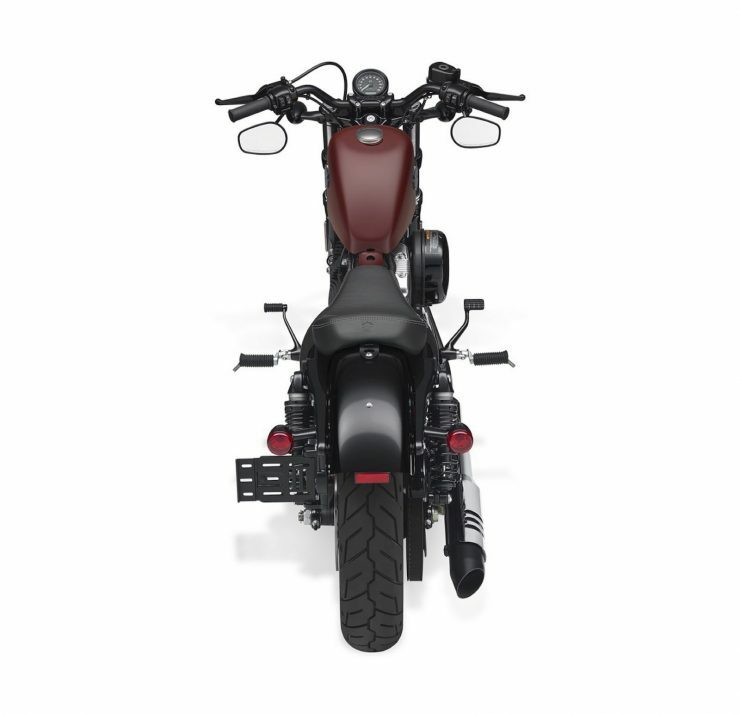 The Iron 1200 is a bike many had been asking for, a 1200cc version of the inexpensive Iron 883. The Iron 1200 first appeared in 2018 with an MSRP of $9,999 USD. The Forty-Eight is a further addition to the Nightster style Sportsters, it has a peanut fuel tank, wire wheels and a wider front tire. 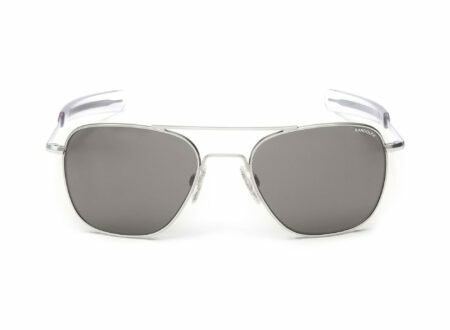 It was introduced in 2010 and has sold solidly. You’re unlikely to find too many of these on the secondhand market just yet, the Seventy-Two was introduced in 2012 and has the look of a classic 1970s chopper. Some love them and some hate them but you’ll probably like it if you’re a fan of the chopper genre. This is a personal favourite of mine, I’ve only ridden one of them but that was enough to ensure that I’d be a fan for life. They cost a pretty penny nowadays and if you’re in the market for one, you need to make sure you do extensive research before hitting the “bid” button. The XL1200L is designed specifically for shorter riders and women, though some taller riders also like the low 26 inch seat height. Low rear shock absorbers are the major change, and the model is available in both 883 and 1200 engine sizes. These are reasonably rare now, they have an interesting history and even had some racing success in the early 1980s (when the model was released). If you find one for sale you might want to consider snapping it up. This is the more modern, road going version of the classic XR750. 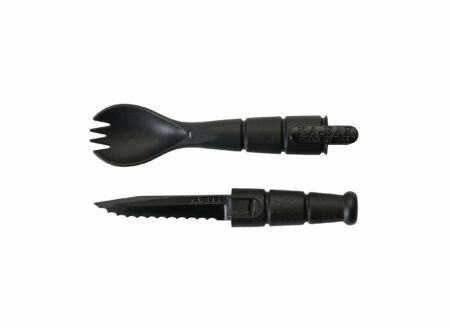 In stock form they can be a little heavy and a little underpowered for any serious racing. That said, if you throw some money into performance upgrades and add some lightness, you’ll end up with a hell of a fun machine. The Roadster is fitted with far more advanced suspension than its XL-badge wearing brothers, with 43mm inverted cartridge forks up front and preload-adjustable shock absorbers in the rear. 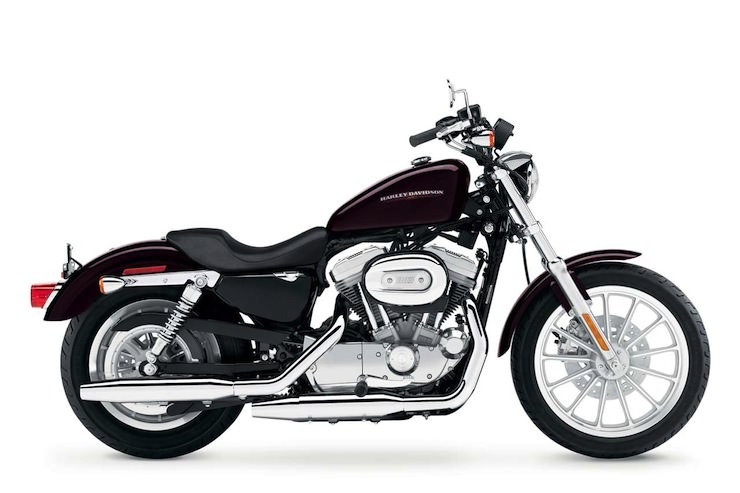 The lower handlebars and mid-mounted foot pegs give a leant-forward riding position, the model has twin 300mm floating discs up front, and the best lean angle of any Sportster. What’s The Deal With All The X’s? 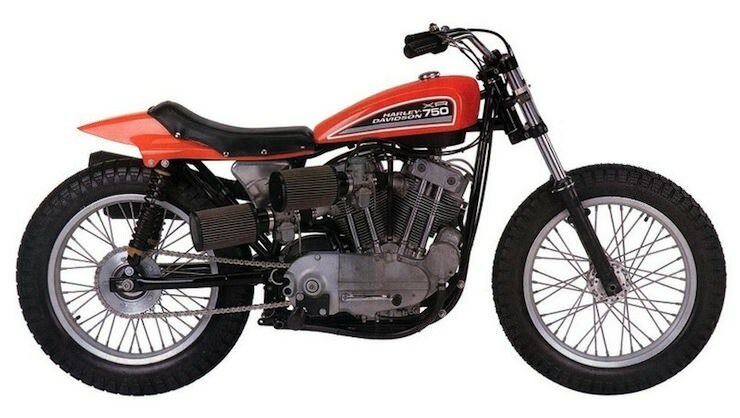 The X prefix is used to denote bikes in the Sportster model line by Harley-Davidson, it’s almost always an XL prefix, except in the relatively rare circumstances where it’s XR, which denotes a “race” specification bike like the XR750, the XR1000 and the XR1200. I’m not going to list the full index of XL/XR prefixes here because it’s just too long for a buying guide like this that’s intended to be brief, but what I will do is explain how you can read the model designation and decipher exactly what bike you’re looking at. XL H – This “H” denotes a high compression engine. 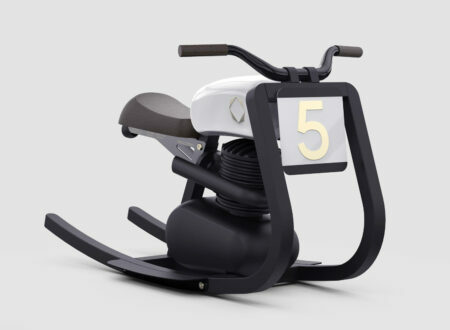 XL C – This “C” means it’s an off-road specification bike. XL CH – As you may have guessed, this bike would be an off-road model with high compression pistons. XL X – This is a slightly cheaper, no-frills model. XL T – This “T” means it’s a touring specification bike. XL H – This is a “Hugger”, it has a lower seat height and lowered suspension. After the letters at the beginning of the model designation you’ll find some numbers, these tell you what engine size the bike has. XL900 – This is a standard Sportster with a 900cc engine. XR1200 – This is a 1200cc bike with flat tracker styling. XL883 – This is a standard Sportster with an 883cc engine. After the initial letters and numbers you’ll often find another letter which tells you some further information about the bike. XL1200N – This is the “Nightster”. XL883L – This is the “SuperLow” Sportster. XL1200C – This is a “Custom” Sportster. XL883R – This is a “Roadster” model. By now you’ll have the hang of reading the Harley-Davidson Sportster model numbers, it’ll be very important to research the specific model that you’re looking into buying as there’s a huge amount of variety and each model has its own community of enthusiasts, its own potential problems and its own advantages. 1991 brought about the first 5 speed Sportsters and introduced a new argument into the already tumultuous, opinion driven world of the Harley owner. Some argue that Harley V-twins are torque machines and as such, 4 speeds is fine. 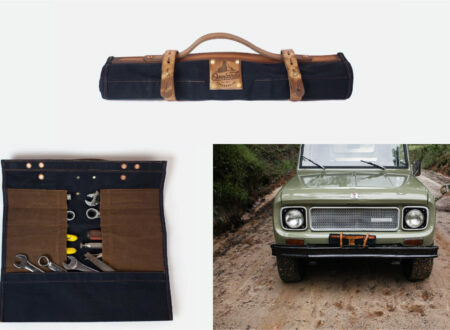 Others argue that 5 speeds offer better acceleration, they’re better for urban riding and the newly designed 5 speed box does away with some issues that were present in the classic 4 speed box. Personally, I’ve ridden both and I prefer the 5 speed box. That said, I know many who love the longer legged ratios in the 4 speed. Your best bet is to try both and see what you prefer, if this isn’t an option for you don’t worry too much. No matter which one you get, you’ll grow to love it whilst secretly suspecting that the guys with the “other” transmission are nancy boys. Belts were introduced in 1993 and replaced chains on all Sportsters, the benefit of the belt is that it requires less maintenance than the chain. The downside is that if you snap a belt on Route 66 it’s a much bigger job to replace than a chain. Unless you already have a preference on this issue, I’d suggest not losing too much sleep over it. Both have advantages and disadvantages, but neither has disadvantages that would be a deal-breaker for any rational person. This is probably the biggest decision you’ll need to make, the original Ironhead engine is loved by many people – including me – but the benefits of an Evolution engine can’t be denied. You’ll get better reliability and more modernity with an Evolution engine, especially with one of the newer fuel injected models. 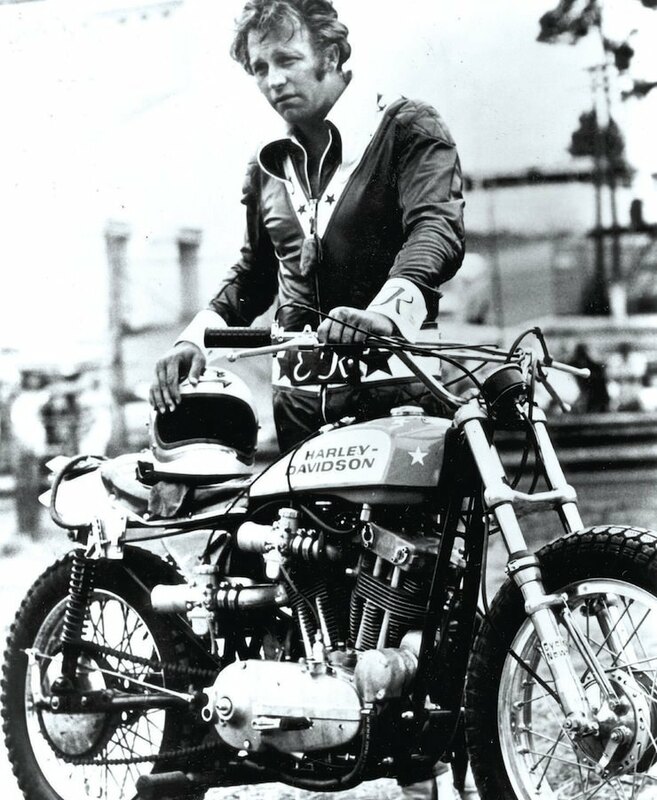 That said, many would argue that Harley ownership isn’t meant to be an easy, reliable, fuel injected experience and that the original, carburettor-fed Ironheads represent a more authentic Harley. 2004 saw the introduction of the rubber engine mounting system on all Sportsters. Old-school Harley owners haven’t been entirely impressed with this move although it did make riding a slightly less shaky, I’ve ridden both and I can tell you that you do notice the difference. That said, I’ve ridden cross-country on an old Ironhead and the vibrations didn’t bother me at all, in fact I kind of liked that you could feel every twist of the throttle. As only the newer (less than 10 year old) bikes will have the rubber mounting system, you’ll notice that these bikes cost a fair bit more. If keeping costs down is your biggest issue then you’ll almost certainly be looking at a non-rubber-mounted engine, but don’t let this put you off. It’s recommended that you make sure the bike has matching frame and engine numbers, non-matching numbers indicates a questionable history and many will warn you off even considering a non-numbers matching Sportster. No matter what you personally think, make sure that you don’t pay full-whack for a non-numbers matching bike, their value should always be below a fully original model. The 883 gets a bit of a bad rap due to its slightly lower engine size and resulting power output, what you may not know is that to change an 883 to a 1200 all you need to do is change the barrels, pistons and cylinder heads. Almost all the other parts are identical. There are kits available to do this conversion, so what people on a budget often do is buy a cheaper 883, then save some money and convert it to a 1200 further down the road. From 2007 onwards, all Sportsters were switched from carburettors to fuel injection. Harley was careful to maintain its signature engine sound with the new induction system and no one will argue that the fuel injected bikes are more reliable, slightly more economical and perform better in cold weather. That said, the carburettor Sportsters are fantastically reliable bikes so long as you take care of them. They’re also cheaper to repair, cheaper to buy and cheaper to maintain. Harley owners almost invariably customise their bikes, when you’re shopping for your Sportster you’ll want to make sure the owner has listed all custom additions to the bike, if they haven’t you can always message them and ask. As with all motorcycles (and cars for that matter) you’ll want to make sure the bike you’re looking at doesn’t have any electrical gremlins. Ask the owner if all the systems are working and if there are any problems you need to know about. As with any brief guide, this one should only be taken as a small part of your research when buying a used motorcycle. Although it might sound dramatic, the more you research now, the less you’ll suffer later. As a general rule, if you take care of your Sportster, it’ll take care of you. They can be fantastically reliable motorcycles but more than that, they can become family heirlooms – which isn’t something you can say for most motorcycles. No single guide will ever be perfect or tick all the boxes, if I’ve missed something out here or if there’s something you feel should be included you can send me a message here – I’m always happy to hear from fellow Harley riders, swap stories and share advice so if you can help improve this guide – I’d love to hear from you.